This cowl neck blouse is a dramatic, graceful blouse to wear with jeans, slacks or skirts. It is presented in a beautiful, deep charcoal gray color and features a signature, loose, cowl neckline that falls in folds around the neckline. 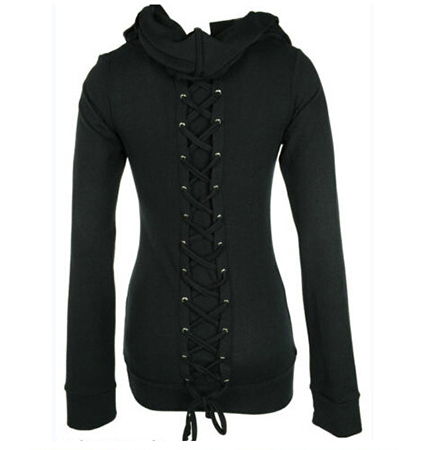 It has long sleeves with ribbed cuffs at the ends. The blouse is snugly fitted through the bodice and features a wide band at the hemline. The hemline ends at the mid hip area. This blouse is machine washable in warm water and can be tumbled dry. It is available for purchase in sizes Small, Medium, Large and Extra Large.